Hans Mompoint is Finance Clerk at the Foundation. He assists the Finance Department with all incoming payments, including donations made to the Foundation. 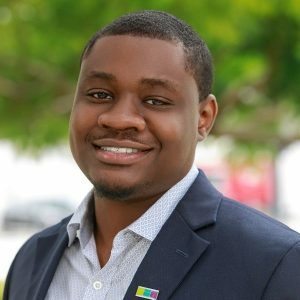 Originally from Haiti, Hans has his bachelor’s degree in finance from Florida International University. Prior to joining the Foundation team, Hans worked as a junior lease administrator for a South Florida real estate firm.